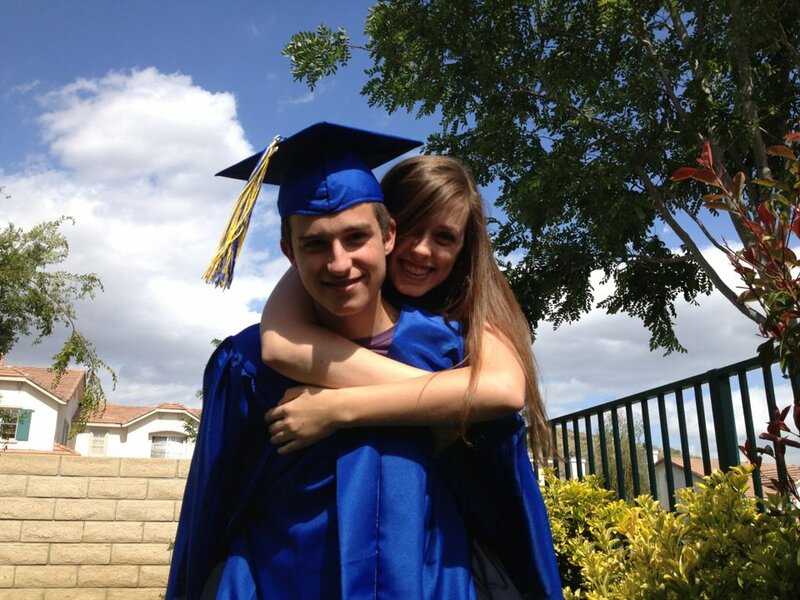 This past Friday I got to see my baby brother receive his high school diploma as a 2012 graduate. Even though the weather was less than ideal, I was proud to see him in his blue cap and gown ready to take on the world. Many of the commencement speeches were cliché, talking about the good times and how their four years have flown by so fast. They talked about their classes, teachers, dances, pep rallies, broken hearts, and lunch time debacles. However, there was one speaker who talked about what the future holds for the 2012 graduates. Some will be going off to conquer the business world, some to fight for our freedom while others are perfectly content to settle down in the Antelope Valley. They are ready for that next step in their lives as high school graduates. But what they don’t realize is how short life can be. How everything can suddenly come to a halt and that life can easily be taken away. What inspired me to write this piece was not only my brother graduating, but also how days after her own commencement Marina Keegan lost her life in a fatal car crash. It’s amazing how someone can achieve so much and in an instant it can all be taken away. The graduating class of 2012, whether they be graduating from high school or college should live each day to the fullest, take nothing for granted, and try to experience and learn as much as possible. We’re so young. We have so much time. There’s this sentiment I sometimes sense, creeping in our collective conscious as we lay alone after a party, or pack up our books when we give in and go out – that it is somehow too late. That others are somehow ahead. More accomplished, more specialized. More on the path to somehow saving the world, somehow creating or inventing or improving. That it’s too late now to BEGIN a beginning and we must settle for continuance, for commencement. When we came to Yale, there was this sense of possibility. This immense and indefinable potential energy – and it’s easy to feel like that’s slipped away. We never had to choose and suddenly we’ve had to. Some of us have focused ourselves. Some of us know exactly what we want and are on the path to get it; already going to med school, working at the perfect NGO, doing research. We’re in this together, 2012. Let’s make something happen in this world. So, class of 2012, instead of dwelling on the fact that your years in high school have come to an end and that friends you once knew may move to opposite ends of the country, you should look to what the future holds and what you can bring to the world. Embark on endless journeys that lead you down paths of success, love, knowledge, and remarkable experiences. Don’t take life for granted, don’t lose faith in yourself, and don’t ever stop dreaming!